At 16, I left school with a dedication to becoming a professional footballer, a dream. Coming to terms with the reality that this was not going to happen, began a technician apprenticeship with Dunlop UK as a safe career route. place at Bedford College of Higher Education where I studied Human Movement. 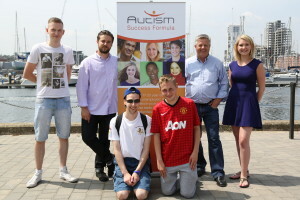 with people with autism and found I had a passion for working towards their success. with the tools to live a fulfilling and independent life.